Every night I sit down to write about our day here in Czech. Most days have at least one event that I can expound on in this new place, but today was just normal. I say normal because we had a nice breakfast together as a family, I worked at the JV offices most of the day and we spent the evening having dinner with some of our teammates. For the most part, that’s pretty normal. So in lieu of trying to find something exciting (besides the amazing Swedish pancakes my wife made for breakfast today), I thought I would answer a question from my friend, Scott. 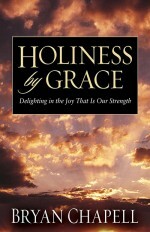 Holiness By Grace by Bryan Chapell – This book radically changed my understanding and view of God’s grace. It has influenced my reading of Scripture and my view of God in general. In fact, “it’s all grace” (the name of this site) was a phrase that kept coming to my mind after I read this book. As someone who struggled greatly with legalism, and still do, knowing that there’s nothing I can do to earn more of God’s favor is freeing and produces joy. Christ finished it all on the cross. 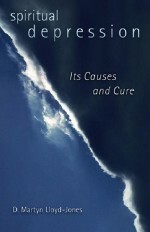 Spiritual Depression: Its Causes and Its Cure by Martyn Lloyd-Jones – Why don’t Christians have joy? Are not Christians supposed to be the most joyful people in the world? These are the questions Martyn Lloyd-Jones wants to answer and they are questions that are just as relevant today as they were when this book was written 50 years ago. It’s a book the is saturated in God’s Word and so helpful in thinking through why we lose our joy in the Christian life and how to get it back again. The Bible – I wonder sometimes why people don’t put this in their book lists. Maybe we just assume Christians like the Bible, but I really do like to read the Bible. Currently, I’m reading 10 chapters in 10 different books every day and have been for almost two years now. It’s an incredible book filled with amazing people, amazing stories, and an amazing God who loves us! 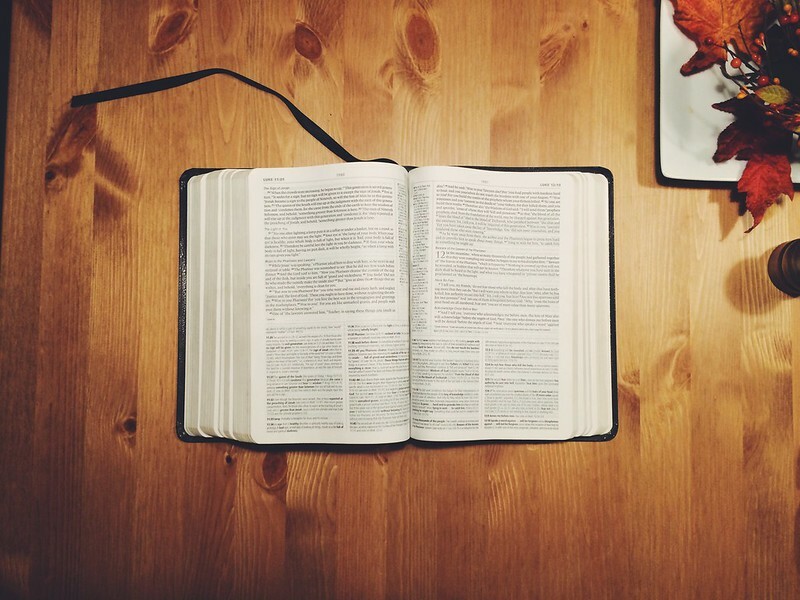 The picture we get of Christ in the gospels, watching the transformation of the disciples and the new church beginning in Acts, reading the creation story in Genesis, and even listening to the prophets–it’s all in the Bible! Even though I’ve read through the Bible multiple times, I’m still amazed at what I think I’m reading for the first time. This book is amazing but the God of in the book will make it worth the read. 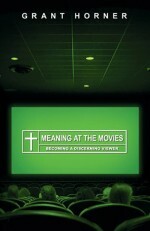 Meaning at the Movies: Becoming a Discerning Viewer by Grant Horner – Written by one of my professors at The Master’s College, I think this book stands alone as the book on film and how to watch movies to the glory of God. This is not a book about which movies to watch, but a higher level book on how to watch movies with a focus on Christ. You’ll be amazed at how Prof Horner helps you discern through the different film genres and what you can be thinking about as you watch. Over and over he says, “God makes us in His image, we make movies in ours.” It’s a book worth reading if you’re ever going to watch another movie! 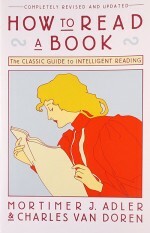 How To Read a Book by Mortimer Adler – The title really tells all on this one, but this book, originally published in 1940, is still the book on how to read. It walks through all the different genres of literature (including a section on reading the Bible) that will help you read better, take better notes, and just think better as you read. I never read a book without a pen now, and I’m constantly writing in the margins and trying to find the key phrases from each author. It’s worth at least one read in your life time and maybe a couple more. 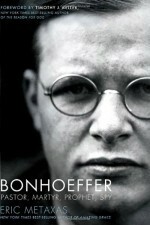 Bonhoeffer by Eric Metaxes – This is a 600+ autobiography that reads like a thriller. I plowed through each page of this book just waiting to see what happens, even though the author tells you the ending at the beginning of the book. This book gives you an inside scoop into what was going on in Germany during the reign of Hitler and provided me a perspective I had never heard before. And as a Christian, seeing Bonhoefer’s life and the way he thought was compelling and challenged me to think about the cost of follow Christ. We can learn a lot from the life of Bonhoeffer and this book will help. 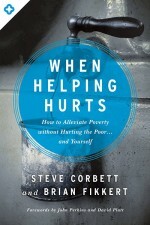 When Helping Hurts: How to Alleviate Poverty Without Hurting the Poor . . . and Yourself by Steve Corbett and Brian Fikkert – There’s no other way of saying it: this book changed my thinking about how we do missions and how to do it better. With incredible research and simple writing, these authors explain how to create sustainable and lasting change in places that desperately need it. If you’re involved in Christian missions, you need to read this book–it will help and definitely not hurt. 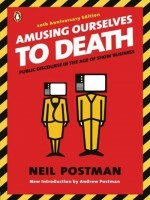 Amusing Ourselves to Death: Public Discourse in the Age of Show Business by Neil Postman – It’s still hard to believe this book was written in 1985. This book on the age of the television and the effect it has had on our culture is enlightening and helpful. Neil Postman is basically prophetic in his view of what the future holds for a generation of people who only watch moving pictures and rarely read. It’s a book I think of often as I think about technology and culture and probably change the way you watch the Nightly News. 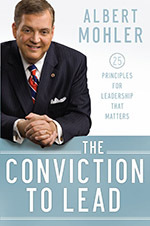 Conviction to Lead by Albert Mohler – I’ve read a lot of leadership books, but if I had to pick one this would be it. Al Mohler, who we listen to daily on his podcast, absolutely nails the essentials needed for leadership today and writes with the authority of many years of experience and results. I believe his 25 leadership principles combined with his theme of conviction are crucial no matter what capacity of leadership you might be in. As a bonus, his comments on television and social media in the later chapters are worth the entire book! The Hole in Our Holiness, What is the Mission of the Church, or anything by Kevin DeYoung – I can’t say I’ve read everything by Kevin DeYoung, but of the four books that I’ve devoured from him I can honestly say I can’t get enough. 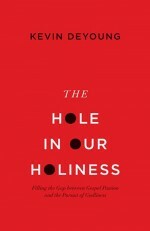 The Hole in Our Holiness is a book I read with a group of men and one that I think often when I read about “the high places” in the Old Testament. 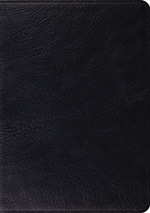 It’s a book that focuses on God and helps us genuinely think through what’s missing in our understanding of holiness. What is the Mission of the Church is a book that helps us look at what the Bible says about the church and what it doesn’t say. Both reads have been crucial in helping me think Biblically about their respective theses. Kevin DeYoung is a great writer and his pastoral heart will leave you feeling well cared for.